Over the last 50 years of X-Men movies (or however long it has been), Fox has learned one thing: The more of something there is, the better. That applies to sequels, conflicting origin stories, alternate timelines, and, of course, the number of characters onscreen at any given time. The end of Days Of Future Past basically erased all of the conflicting origin stories and alternate timelines, so Fox is doubling down on the number of characters for its next mutant sequel, X-Men: Apocalypse. We already have Sophie Turner, Tye Sheridan, and Alexandra Shipp playing young versions of Jean Grey, Cyclops, and Storm (respectively), as well as Kodi Smit-McPhee as Nightcrawler, Oscar Isaac as Apocalypse, and Rose Byrne as Moira MacTaggert. Oh, not to mention James McAvoy, Michael Fassbender, Jennifer Lawrence, and Nicholas Hoult, all of whom will also be returning to Fox’s movie series for gifted youngsters. They’re all going to have to squeeze together a little bit more for the cast photo now, though, because newcomer Lana Condor has just signed on to play Jubilee. 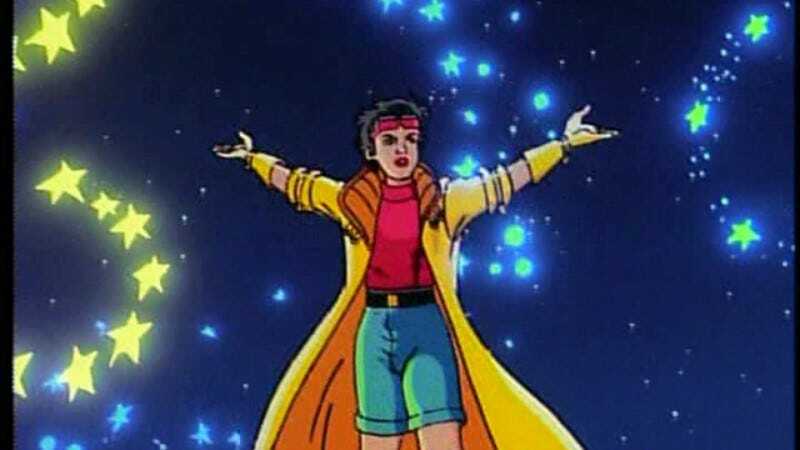 The go-to sidekick X-Man of the ‘90s (especially in the cartoon series), Jubilee’s power involves creating tiny explosions that look like fireworks. In the comics, though, she eventually loses her powers and becomes a vampire—but that’s super crazy, so it probably won’t happen in Apocalypse. Also, her real name is Jubilation Lee, which gives Blackagar Boltagon a run for his money in terms of terrible comic book names. Jubilee was played by Katrina Florence and Kea Wong in the other X-Men movies, but Wolverine’s changes to the timeline have erased them from existence. As for Lana Condor, she has no other roles listed on IMDB, so she’s not under any pressure to do a good job here.